Father Troy was the sixth Rector of the Church of the Good Shepherd (2005-2008). The Rev. Troy C. Beecham grew up in Roswell, Ga. and graduated from the Roswell High School in 1987. He studied theology, Biblical studies, and comparative religions, earning Bachelor of Arts, Master of Arts, and Master of Sacred Theology degrees; he studied in Jerusalem, Chicago, and at the General Theological Seminary of the Episcopal Church in New York City. 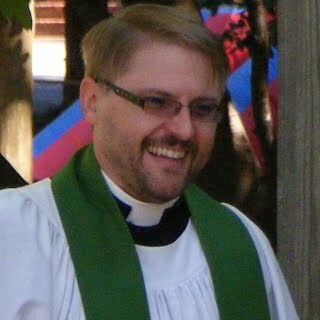 Father Troy left Good Shepherd to become rector of St. John’s Episcopal Church, College Park, GA. He was appointed Dean of the Cathedral Church of St. Paul, Des Moines, Iowa, in 2014.